VT FindHome - handy gauge on real estate developers Vtem prepared with full support for the most recent versions of CMS Joomla. Stylish look template contains several built-in color themes that can be easily edited through simple settings manager. Create the most convenient real estate manager will control the most popular material site K2. Perfectly optimized website layout that allows it to work correctly in all existing browsers. He has good speed of loading pages and is supported by all mobile devices. 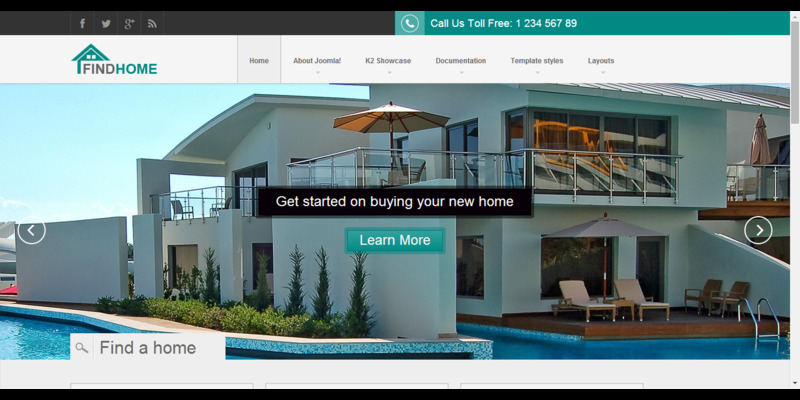 VT FindHome - an ideal choice for creating high-quality websites of real estate agencies.